Automatic Ballpoint | "Whoever said 'the pen is mightier than the sword' obviously never encountered automatic weapons." Another treaty – this time, the Intermediate Nuclear Forces (INF) – slain by John Bolton, the unilateralest man alive. It will come as no shock that I find this move misguided, executed in bad faith, and sure to have counterproductive second- and third-order effects. Bolton’s single-minded hostility to the very notion of arms control should be cause for skepticism. It is on his watch that multiple cornerstones of the late Cold War arms control regime have been dismantled. INF withdrawal, in particular, should be condemned on two main grounds: those of principle and those of logic. U.S. intent to leave the treaty fails on both counts. Arms control is itself almost always a net good. It brings together party-states in dialogue and discussion (itself a confidence-building measure), and when accompanied by measures like on-site inspections and periodic review committee meetings, ensures the basis for continuing conversation and face-to-face meetings. Treaties represent the culmination of a decade or more of negotiations and hard-fought compromises and should never be dismissed lightly; e.g., for anything less than a grave and imminent threat to national security. The SSC-8 decidedly does not rise to this level. By leaving the INF, the United States concedes the moral high ground to Russia. Regardless of whether the SSC-8’s range does or does not violate the treaty, a violation is qualitatively different from a dismantling. In the eyes of allies and the world, the United States has chosen yet again to abrogate a treaty that has dampened nuclear tensions for decades, irrespective of other details. Matt Korda and Hans Kristensen have more on some of these aspects. Furthermore, Keeping ground-launched nuclear platforms out of Europe for a generation has been a welcome development in continental affairs. The prospect of jettisoning a bulwark of allied strategic stability has surely been unwelcome (if not unexpected) in European capitals. Guam is small, about 30 miles long and 10 miles wide. Only a portion of that territory would be suitable for basing GBIRs. Given these space constraints, deploying GBIRs on Guam would lessen the survivability advantage that mobile missile systems usually provide by being dispersed across a vast geographic expanse (as demonstrated by China’s own mobile missile force). Additionally, the already significant U.S. military presence makes Guam an early target in any conflict with China. So where else? Given recent debates over conventional forces in Okinawa, that can safely be ruled out, and so too other Japanese bases. Placing U.S. missiles in Taiwan or the South China Sea would so provocative a move as to preclude consideration. And once you get to Wake and beyond, you’re into ICBM range, so INF-noncompliant systems don’t provide a lot of additional capability. All of this raises a larger issue: do we really have a capability shortfall in the Western Pacific? It’s unclear whether INF withdrawal advocates think we need IRBMs of our own to counter ships or to hold the Chinese mainland at risk, but in the case of the former, we lack the targeting kill chain to enable ballistic missile usage against moving targets (like, say, a Chinese CV). The Minuteman III uses a guidance system better-for fixed, albeit small, targets. But it is also for this reason that U.S. precision weapons development traveled down alternative paths. Instead of a GLCM, we have the TLAM with a thousand-mile range that can be launched from submarines and surface combatants alike. The Strategic Capabilities Office – at least for now – continues to pursue new uses for existing platforms, like repurposing the SM-6 SAM into an antiship cruise missile. Between stealthy platforms, standoff munitions, and existing global strike capabilities, the United States can already – and easily – hold Chinese ships, units, and land targets at risk. Other than sheer numbers, what capabilities do new in-theater platforms have to offer? Another argument, made in even worse faith, is the fact that the INF Treaty does not include China. This follows on the heels of unilateral withdrawal from the Joint Comprehensive Plan of Action – a plan to constrain Iranian nuclear weapons – for not addressing Iranian missile development. Perhaps an arms control regime ought to include more than the original signatories: China has the largest missile arsenal in the world and there are obvious arms-race implications for this. But this in turn would suggest Indian participation in such a regime, and thus Pakistan’s, and so on. The difficulty in achieving such a multilateral agreement is the same reason there has be no movement on multilateralizing the nuclear disarmament movement. And it is for this reason that a painstakingly negotiated accord between two countries should not be thrown away for want of a third. U.S.-Russian INF is a building block for future expansion. A treaty addressing one subject is not defunct because it doesn’t address another. We should declare that while in a post-INF world the United States can test and deploy ground base and intermediate range missile systems however, it has no need or intention to do so. We have the principle, but we do not need the capabilities. We should make clear that the U.S. stands for the principle of compliance. We also believe international agreements should be judged independently on their merits and on that basis that New START should be extended. And even more to the point, it is Russia that has violated the INF Treaty. If the treaty is to wither and die, it should be Russia who lets it – not the United States. In the New York Times, C.J. Chivers has published an excerpt from his upcoming The Fighters: Americans in Combat in Afghanistan and Iraq, an absolutely blistering condemnation of our present forever war in southwest Asia, told through the story of a young Army enlistee sent to Afghanistan’s Korengal Valley in 2008. Disillusionment – with fruitless rebuilding, a recalcitrant populace, and an Afghan Army just trying to survive – quickly follows. While the story is framed by Robert Soto’s enlistment, tours in Afghanistan (and Haiti, and Iraq), and eventual honorable discharge, it’s essentially a meaningless microcosm of a much larger strategic debacle. Who wants to be the last man to die for a mistake, indeed? In early October, the Afghan war will be 17 years old, a milestone that has loomed with grim inevitability as the fighting has continued without a clear exit strategy across three presidential administrations. With this anniversary, prospective recruits born after the terrorist attacks of 2001 will be old enough to enlist. And Afghanistan is not the sole enduring American campaign. The war in Iraq, which started in 2003, has resumed and continues in a different form over the border in Syria, where the American military also has settled into a string of ground outposts without articulating a plan or schedule for a way out. The United States has at various times declared success in its many campaigns — in late 2001; in the spring of 2003; in 2008; in the short-lived withdrawal from Iraq late in 2011; and in its allies’ recapture more recently of the ruins of Ramadi, Falluja, Mosul and Raqqa from the Islamic State, a terrorist organization, formed in the crucible of occupied Iraq, that did not even exist when the wars to defeat terrorism started. And still the wars grind on, with the conflict in Afghanistan on track to be a destination for American soldiers born after it began. More than three million Americans have served in uniform in these wars. Nearly 7,000 of them have died. Tens of thousands more have been wounded. More are killed or wounded each year, in smaller numbers but often in dreary circumstances, including the fatal attack in July on Cpl. Joseph Maciel by an Afghan soldier — a member of the very forces that the United States has underwritten, trained and equipped, and yet as a matter of necessity and practice now guards itself against. As the costs have grown — whether measured by dollars spent, stature lost or blood shed — the wars’ architects and the commentators supporting them have often been ready with optimistic or airbrushed predictions, each pitched to the latest project or newly appointed general’s plan. According to the bullhorns and depending on the year, America’s military campaigns abroad would satisfy justice, displace tyrants, keep violence away from Western soil, spread democracy, foster development, prevent sectarian war, protect populations, reduce corruption, bolster women’s rights, decrease the international heroin trade, check the influence of extreme religious ideology, create Iraqi and Afghan security forces that would be law-abiding and competent and finally build nations that might peacefully stand on their own in a global world, all while discouraging other would-be despots and terrorists. Aside from displacing tyrants and leading to the eventual killing of Osama bin Laden, none of this turned out as pitched. Prominent successes were short-lived. New thugs rose where old thugs fell. Corruption and lawlessness remain endemic. An uncountable tally of civilians — many times the number of those who perished in the terrorist attacks in the United States in 2001 — were killed. Others were wounded or driven from their homes, first by American action and then by violent social forces American action helped unleash. The governments of Afghanistan and Iraq, each of which the United States spent hundreds of billions of dollars to build and support, are fragile, brutal and uncertain. The nations they struggle to rule harbor large contingents of irregular fighters and terrorists who have been hardened and made savvy, trained by the experience of fighting the American military machine. Much of the infrastructure the United States built with its citizens’ treasure and its troops’ labor lies abandoned. Briefly schools or outposts, many are husks, looted and desolate monuments to forgotten plans. Hundreds of thousands of weapons provided to would-be allies have vanished; an innumerable quantity are on markets or in the hands of Washington’s enemies. Billions of dollars spent creating security partners also deputized pedophiles, torturers and thieves. National police or army units that the Pentagon proclaimed essential to their countries’ futures have disbanded. The Islamic State has sponsored or encouraged terrorist attacks across much of the world — exactly the species of crime the global “war on terror” was supposed to prevent. We’re still there. We’re still there. It takes a monumental piece like this on occasion to jolt us out of our complacency and to remind us that somehow, for some inexplicable reason, we continue to commit blood and treasure to an astrategic backwater. We don’t do empire on the cheap; we do absentee empire. Somehow, America in Afghanistan has become the imperturbable state of being, a foundational story of how we organize and employ force. As long as we remain at war without reason or end, it is hard to take any “natsec” debate seriously. What is the point of threatening Iran or saber-rattling at North Korea (much less doubling down on tactical nuclear weapons) when we can’t even conduct an orderly withdrawal from a war that exists due solely to institutional inertia? Why argue over Pacific force postures or basing regimes in Europe or deterrence and “credibility” when the only strategy on display has been one that compels us to repeatedly bang our collective head against the adamantine wall of the Hindu Kush? There is no compelling purpose, no strategic excuse, no reasonable explanation for our continued presence in Afghanistan. It is a mistake compounded by error exacerbated by political cowardice, and countless innocents abroad (as well as 7,000 Americans) have suffered for it. We’ve squandered the first fifth of the 21st century on deranged bloodletting and Sisyphean idiocy. Only by admitting that can we begin to stop, and to breathe, and to consolidate at home. Nils Gilman has a great review essay in the LA Review of Books on Samuel Moyn’s Not Enough: Human Rights in an Unequal World, and it’s definitely worth your time. The book takes the form of an intervention into two huge historical debates, the first about the history of neoliberalism and the second about the history of human rights, a field whose current contours Moyn helped to define with his 2010 book The Last Utopia: Human Rights in History. The puzzle he seeks to explain is: How is it that the era of neoliberalism, commonly said to have begun in the mid-to-late 1970s, coincides almost perfectly with the triumphant rise of a discourse of human rights? In other words, how can it be that an era whose ethical self-conception was rooted in a transnational movement to prevent abuses such as torture, disenfranchisement, and political imprisonment has also been an era in which national and global economies were remade in ways that have allowed wealthy capital owners to capture the large majority of economic productivity gains, creating in-country inequalities not seen since the late 19th century? Like many books of this nature, however, where it comes up a little short is in the realm of recommendations. Which isn’t to say every accurate diagnosis requires a treatment as well – in many (if not most) cases, the remedies are obvious and what’s lacking is political will – but the proliferation of this particular vocabulary throughout the establishment is pernicious, and lends itself to certain mindsets that would likely be difficult to shift. …In a globally integrated economy, only a global-scale regulatory entity has a serious chance to tame the power of global capital. In short, if the re-autarkization of national economies, as proposed by some nationalists and populists, is to be avoided, we may wish to revisit another largely forgotten intellectual episode from the protean postwar moment of the 1940s — namely, the idea of a world government. To propose the idea of a planetary-scale state, in a time of backlashes against globalization and surging populist nationalisms, may seem less a utopian delusion than a form of political madness. To date, as Moyn himself notes, “there has been no serious erosion of the assumption that states are on their own to fulfill the economic and social rights of their citizens. […] [I]n the neoliberal age, international law furnished no redistributive tools among states, and few activists or governments tried to build them.” But we live in a time of collapsing political limits, and many things that seemed impossible or inconceivable just a few years ago have been achieved or surpassed. Who is to say that the future may not belong to a world state? Indeed, as hard as it is to imagine how such a state might come into existence, it may be even harder to imagine how the world’s immense demographic, environmental, and political challenges can possibly be addressed without one. The hardest part, and the one that involves the deepest uprooting of American sentiments, is getting away from the cult of individuality and rediscovering the power of collective demands. An individual right is, in many ways, no right at all; it is the right to imagine a better future without securing one; the prohibition on Anatole France’s rich and poor alike to sleep under bridges; the right to express as loudly as you like how unjust the world is – but not to actually see any remedy. I’ll have more to say on this later, but given the radical challenges facing us (and the utter failures of incrementalism on display in the past few years), it is telling that a clear-eyed assessment of the situation leads almost inexorably to solutions that, until only the past few years, were inconceivable. The current state of international political economy requires profound change if we are all to survive. Anyways, read Gilman’s essay (and Moyn’s book)! 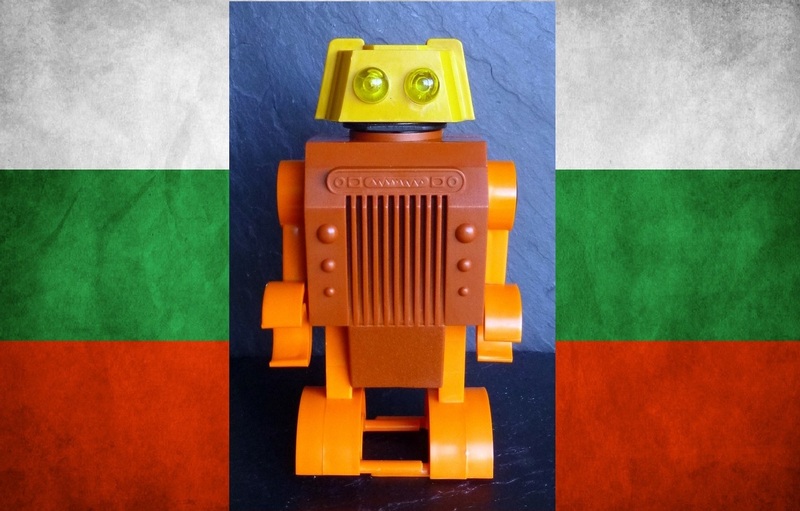 RO 1, the battery-operated Bulgarian toy robot. Made in Silistra c. 1970s-1980. In his story ‘The Hundred and First Law of Robotics’ (1989), a writer is found dead while working on his eponymous story, which states that a robot should never fall from a roof. He himself is killed by a robot who just didn’t want to learn any more laws, resulting in the final one: ‘Anyone who tries to teach a simple-minded robot a new law, must immediately be punished by being beaten on the head with the complete works of Asimov (200 volumes)’. Hopefully, by the time we get to Law 101, we’ll have figured out how to have rendered the techno-nightmares of AI run amok nothing but – dreams. The Bulgarians surged ahead of their socialist allies through close contacts with Japanese firms and a massive industrial espionage effort. While Bulgarian engineers signed contracts with Fujitsu, state security agents criss-crossed the United States and Europe in search of the latest embargoed electronics to buy, copy or steal. In 1977, a whole IBM factory for magnetic discs based in Portugal was bought by a cover firm and shipped off to Bulgaria; elsewhere, secrets were passed on to Bulgarians by their foreign colleagues through the simple exchange of catalogues and information at conferences and fairs. Scientists back in Bulgaria reverse-engineered, improved, tinkered; soon towns that once processed tobacco were supplying hundreds of millions of customers with computers.